Seventeen-year-old Aidan Lockwood lives in the sleepy farming community of Temperance, Ohio - known for its cattle ranches and not much else. That is until Jarrod, a friend he hasn't seen in five years, moves back to town and opens Aidan's eyes in startling ways: to Aidan's ability to see the spirit world; to the red-bearded specter of Death; to a family curse that has claimed the lives of the Lockwood men one by one...and to the new feelings he has developed for Jarrod. 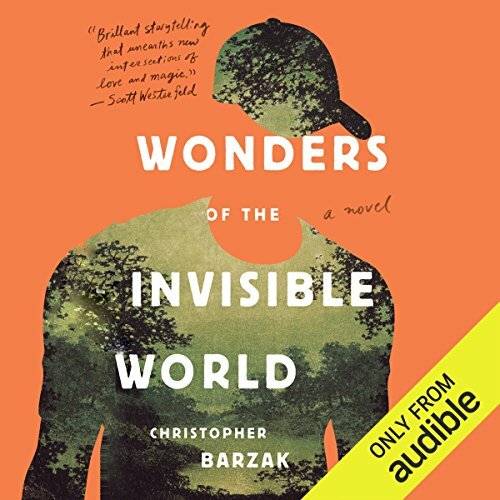 ©2015 Christopher Barzak (P)2015 Audible, Inc.
Barzak's supernatural themed book about a teen in a small Ohio town finding the truth about himself, his family, and dealing with the secrets is engrossing. It is a wonderful story that pulls you in and keeps you reading and listening. 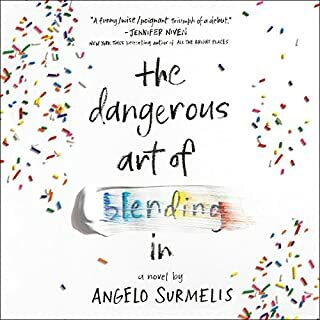 It is a great coming of age story that displays a lot of the magic of love and the blurred lines between life and death. What made the experience of listening to Wonders of the Invisible World the most enjoyable? As we age, we start snubbing stories like this but I'm glad I gave this book a try. The story just simmered down. He made the characters come to life. Would you listen to Wonders of the Invisible World again? Why? Maybe not. A big draw for this book is the suspense of figuring out what Aidan has forgotten so I'm not sure it would be as enjoyable a second time. I love that it's a story with a queer romance, but that's not the main point of the story. It's so hard to find books that include queer characters without it being a book "about" being queer. I tend to like a more minimal performance, and Michael Crouch did that. He did some voices and accents where appropriate, but they were pretty subtle. I usually listen to books in my car, so I didn't listen all at once. There were a couple of times I didn't want to get out of the car, though. I really liked this story overall. I'm not sure that it has a lot of staying power. The conclusion felt a bit simplistic in the way that everything was wrapped up. However, it was a really good and fun listen and I enjoyed it quite a bit. Slow to start but worth it! The narration is fabulous. The story is a bit slow at the beginning, I almost gave up on it. But, once it gets going, it's great and you'll be hooked! I loved the crafted world and the unique narration. 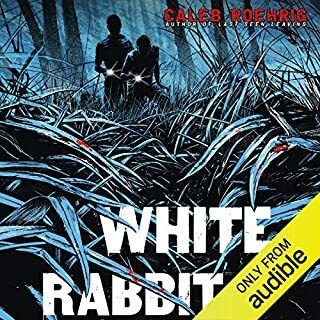 I loved this book from start to finish. Anyone wanting a unique and gripping tale, please, try this one. My eyes were opened to the invisible world! Yes, I would. Most of what happens between people is non-verbal. There are things that exist beyond our basic senses, and this book opens your mind to this "invisible world", while taking you on an illuminating journey. The ways some of the places were described, I felt like I had been to these places before. One of the gems from the book was describing the scene of where things had taken place over generations of time. It was beautiful and haunting. I look forward to more books by Barzak! I could not love this book more. What did you love best about Wonders of the Invisible World? The story, the writing, the narration. A perfect trifecta of perfection. Aidan. 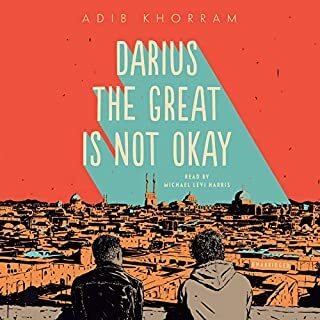 His coming-of-age story - how he came to know himself, the world around him, and his place in it - is beautiful, so thoughtful and meaningful, translatable from the microcosm of his life to the macrocosm of society and the culture he lives in. He faces his vulnerabilities without fear and works to accept the people in his life and himself as they and he are. He doesn't know how strong he is until he's really tested, and then he finds out he's stronger than he ever knew possible. The perfect protagonist in every way. Jarrod, of course, is a close second. Just 'cause he's so dreamy. His vocal characterization of Aidan is spot on - full of awe and wonder but also very grounded and real. He sounds like a young man who is unsure of himself at times but is striving to tell his story. Crouch also does nice but subtle accents for some of the characters who require them and does a great job of using different but always consistent voices for all the main characters, so we can tell them apart easily. Supernatural LGBT YA fiction is my new favorite genre. Who knew it was even a thing. Interesting story with lots of twists. This is an interesting and unusual story with a lot going on. 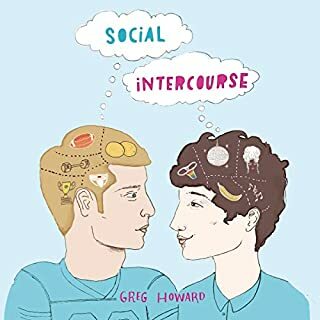 I realize this is considered a YA novel, but some of the dialogue, especially between Aiden and Jarrod seemed a little too juvenile. I really liked their relationship, though, and how Jarrod was so supportive of Aiden. 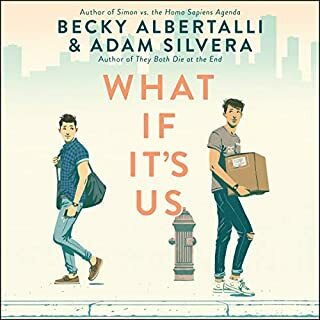 I really love that it is a modern story about a seemingly normal family...until Aidens' memories start coming back to him. Then things change dramatically, uncovering ancient curses, psychic powers, time travel and how one person who can change destiny. 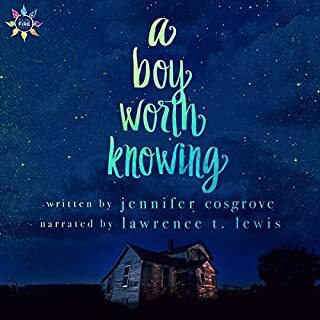 I listened to the audible version and Michael Crouch did a fantastic job. I believe his narration really added to the story.